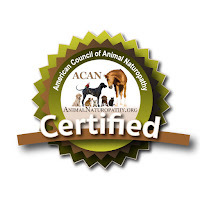 My name is Gloria Gray, and I am a Certified Small Animal Naturopath. I never really found my true passion in life until discovering Naturopathy. I owe that one to my 5 beautiful dogs, and one of them in particular - Hadassah. She is a very sweet, gentle girl, and a wonderful companion. Previously, I was like most people who have dogs. I didn't know anything about natural health for animals, although I did know a bit about herbs for myself and my pets. Typically, I just trusted the vet with their health care needs. After all, they are the ones with the fancy degree and the initials after their name, right? 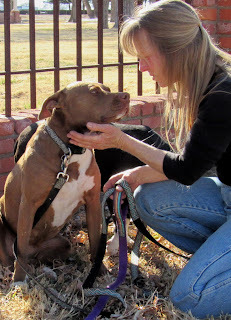 A few years ago I took Hadassah in to see the vet for her annual check up and booster vaccines. Within a day or so after receiving her shots, she had a pretty nasty, but thankfully not fatal reaction to the vaccines. That was the moment when my eyes were opened, causing me to begin questioning everything that we pet owners have been taught by our veterinarians, as well as the pet food industry. It was also what started me on a journey to find natural alternatives to pretty much everything in my life, for myself, my dogs and my home. For many years, I was guilty of feeding myself the Standard American Diet (S.A.D. - and yes it is! ), as well as feeding the same S.A.D. processed food diet to all the wonderful dogs and cats I've been lucky enough to share my home and life with over the years. I didn't know better, and they suffered right along with me because of my ignorance. After all, if it's sold at the store, it must be safe and healthy, right? Walk the junk food aisles (hint: that would be pretty much any aisle other than the outside edges of the store where you find all of the fresh food) and see if this is the case... My rule these days when it comes to grocery items is if it has a list of ingredients, especially those that you can't identify or pronounce, then best to leave it on the shelf and move along. Best to stick to raw, whole foods, organic when possible. When it comes to feeding my dogs, if it has an ingredient list other than whole, raw meat, I leave it on the shelf. They are, after all, carnivores! I've never heard of a wolf going out of its way to find a bag of kibble, or scavenging in a corn field or veggie patch, have you? Our dogs are nearly identical, digestively speaking, to their cousin the grey wolf, as our beautiful felines are digestively much the same as their cousin the lion. Always look to nature to show us the way! I've been interested in natural healing and nutrition for both myself and my pets for quite a while now, so after doing a lot of research and deciding that teaching others about carnivore nutrition was what I really wanted to do, I began looking for somewhere to train to become a carnivore health and nutrition coach. In my search, I found The American Council of Animal Naturopathy, a school that trains students not only about true, species specific nutrition, but also offers training in animal Naturopathy for a truly holistic, whole animal approach to health. At this point I was intrigued, and more than a bit excited, so I signed up. The rest, as they say, is history. Although I live in the high desert of New Mexico, my office is virtual so geography is not an obstacle, allowing me to work with you anywhere in the world. It is my goal to educate and empower you to share this journey with your animal companion so they can be their Happy and Healthy best!